Finca Monteblanco, located high along the winding mountain roads of Vereda La Toroca in the San Adolfo municipality above Pitalito, is a family farm managed by Rodrigo Sanchez Valencia in the tradition of coffee cultivation that began with his grandfather. Monteblanco’s 18 hectares sit on the crest of a hill, with the wet and dry mill at the top and slopes of coffee planted below. 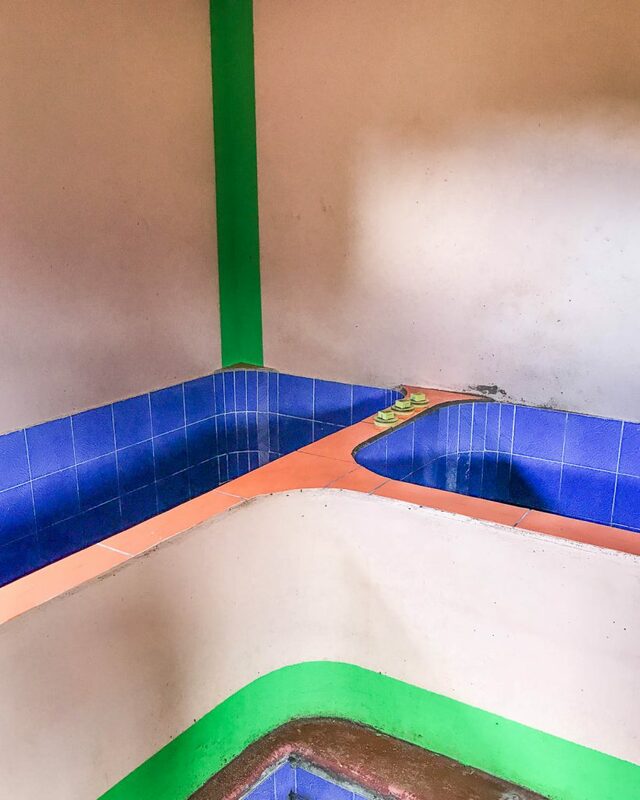 Coffee is fermented between 28 and 32 hours, fully washed with clean water, transferred to the solar dryer for several days, and finally moved to shaded raised beds to complete the drying process. Floaters are removed at the first stage prior to depulping to produce clean, consistent coffees that represent the terroir of the farm. Rodrigo is proud that he, his wife Claudia Samboni, farm manager Don Gerardo, and the team that works in the fields and at the mill have reached the goal of achieving consistent quality. Each harvest, Finca Monteblanco produces microlots that serve as competition coffees around the world, but the farm also consistently produces containers of delicious coffees that appear year-round on café menus and retail shelves. 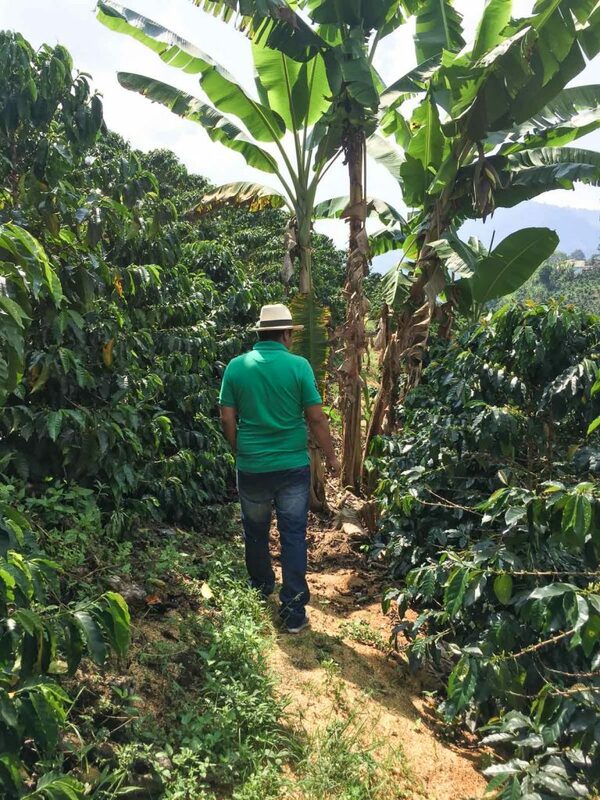 By applying an ethic of rigorous monitoring, planning, and management of each stage of production and processing, all coffees from Monteblanco showcase their full potential. 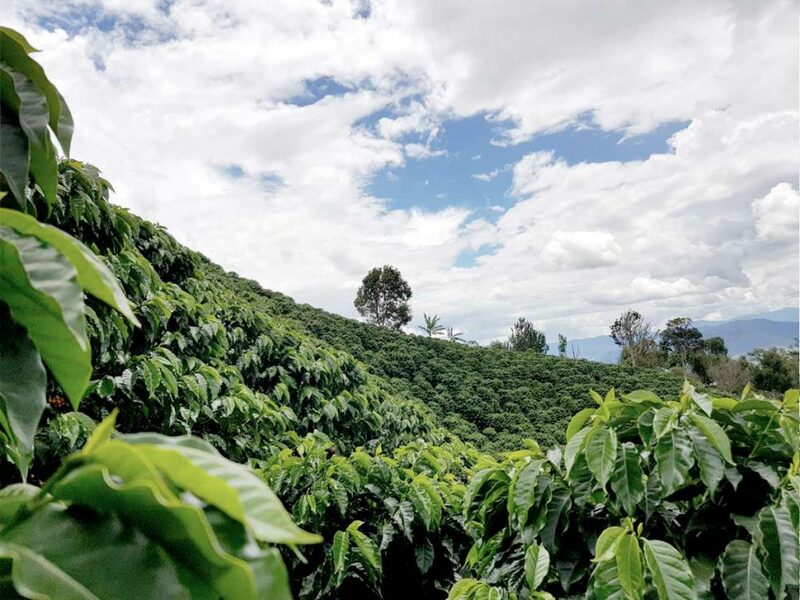 Harvesting and processing on Monteblanco have had to evolve with the times, adapting to a changing climate that yields harvest dispersed through ten months of the year rather than in a concentrated peak. Read more about Monteblanco on the Ally Coffee blog. 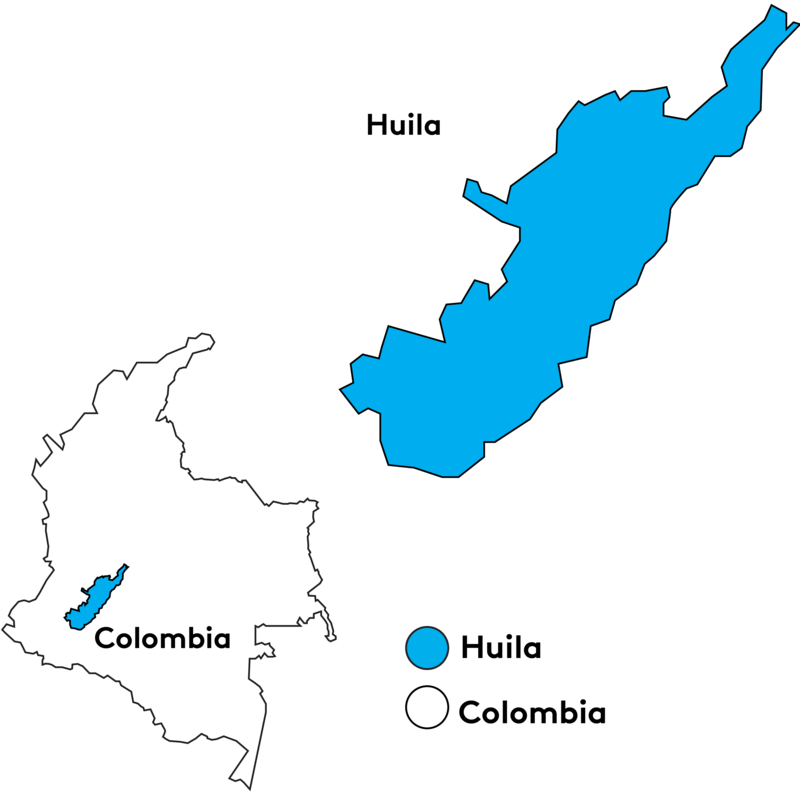 The Colombian Department of Huila is located in the southern portion of the country where the Central and Eastern ranges of the Andes mountains converge. Huila’s capitol city of Neiva is dry, flat, and desert-like, markedly different from the coffee regions further south. Centered around the city of Pitalito, Huila’s coffee farms are predominately smallholder owned and over the past ten years have made consorted efforts to produce specialty coffee that reveals the full character of the region’s terroir. Selective manual harvesting, attentive processing, and careful post-harvest sorting all contribute to increasing recognition of the region. 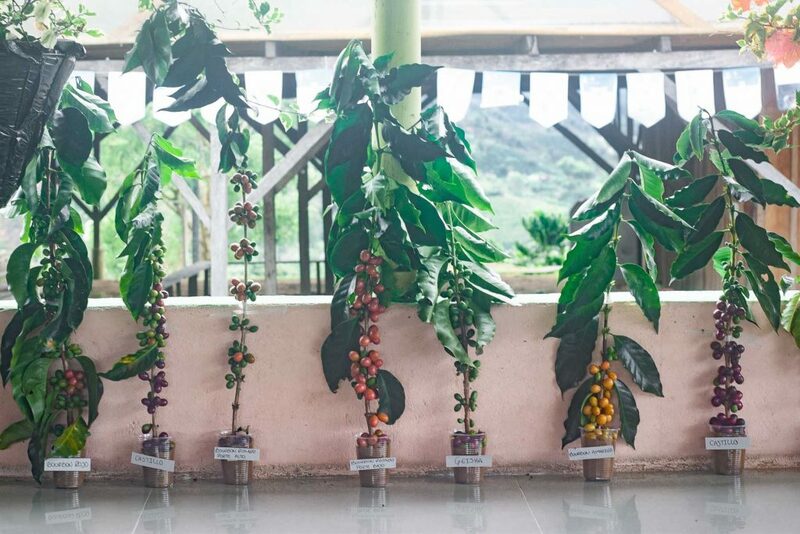 Huila’s Departmental coffee committee, the local connection to the national Colombian Coffee Growers Federation, has invested notable resources into training producers in everything from fertilization to roasting. This, combined with producer enthusiasm, has created a regional culture of quality-focused production. Huila holds important historic significance dating back to pre-Columbian cultures. The archeological site at San Augustin includes a large number of stone carvings, figures, and artifacts that offer a rare glimpse into the land’s past prior to colonialism.